Follonica is situated on the Tuscan coastline in the province of Grosseto and, thanks to its sandy beaches which gradually reach the sea, the wide green areas and pinewoods and the varied services offered, has recently become a popular sea destinations for families with children. This lovely Villa rental is located in Maremma, at a short distance from sandy beaches, shops & restaurants. The accommodations include spacious living quarters, private pool & garden, wifi, & AC for up to 12 persons. This structure set in Maremma, 8 km from the sea of Follonica offers all you can desire: 2 tennis courts, a football pitch, 2 basket courts, 2 swimming pool and a play ground. The restaurant serves local specialities and the landscapes are breathtaking. Located in Scarlino, only 9 km from the lovely beaches of Follonica, this vacation home offers 3 apartments with kitchen in country style, surrounded by a huge garden. Here guest spend a stay dedicated to relax, a few steps from the seaside in Maremma. This typical Tuscan village offering independent and fully equipped apartments is set in the Maremma countryside, at a short distance from Scarlino beach. It features an amazing garden and a restaurant serving local dishes and overlooking the pool. Wooden bungalows, private beach with shuttle service, restaurant, pizzeria, pool and many more. The camping is located in Scarlino 6 km from the beaches of Puntone and only 15 minutes from Follonica and its beautiful blue sea. This holiday home set in the countryside a few minutes drive from Piombino, on the Etruscan coast, offers a stunning location with garden and bbq area, a wonderful swimming pool and simple, cozy self catering apartments. Homemade breakfast daily served. Set in an ideal position to discover both the seaside as well tourist cities, the farmhouse is in Gavoranno only 12 km from Follonica. Here the staff organizes riding tours to explore the surrounded countryside. Follonica, which has been awarded several times by both Legambiente (4 sails) and the European Community (the prestigious Blue Flag award) for the safeguard and conservation of its natural resources and coastline environment, has recently become a renowned sea resort. Being located in the middle of the gulf of the same name and in front of the biggest island of the Tuscan archipelago, the Elba, it offers varied attractions to discover and outdoor activities to do close by while on holiday. Follonica doesn’t necessarily mean seaside: all the area is rich in natural reserves (mainly woodlands) where it’s possible discovering the local fauna (wild boars and roe deers just to mention a few), like Poggio Tre Cancelli nature reserve or that one of Tomboli of Follonica. The town is placed, moreover, on the hilly area commonly known as Colline Metallifere (Metal hills, literally translated into English), for the presence of mineral veins, which sometimes give the landscape the typical rust aspect. As is known to all, allegory is the main trait of the Tuscan traditions, but the fact that it is usually represented as masks on coloured floats parades seems to be a prerogative of the Tuscan coastline towns! As it happens in Viareggio, every year a joyful and coloured carnival takes place in Follonica with funny and original artistic creations that deserve to be visited. During Summers season, moreover, the recently restored hippodrome (which Follonica is particularly renowned for) is home to many horse races which are worth a visit if you’re fond of those kind of activities. As last noteworthy event you should not miss out, the traditional Palio dei rioni, a manifestation that, as it happens in many other Tuscan localities, recalls the Renaissance times, local culture and habits. Follonica has its own rail station connecting the town to other regional and national destinations. Even if car is once again the most convenient mean of transport for getting there, this town is quite well served by public transportation, so that car could not be necessary. 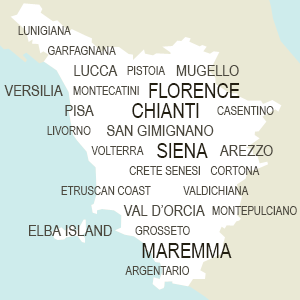 Anyway, you may drive to Follonica following the Florence-Pisa-Livorno state road (or the A12 motorway), exiting at Rosignano and then taking the Aurelia road towards Grosseto.